they all died of hunger. All. How many? per head? Write down: I don’t know. History rounds off skeletons to zero. A thousand and one is still only a thousand. no one’s spot in the ranks. How does one get the measure of Kim Jong Il’s legacy in North Korea? His victims, like those of his father before him, are so many, in lives ended and lives stunted, that they become faceless and formless in our minds, like those tens of thousands of dancers in the mass performances Kim liked to stage. An Egyptian protester beaten, a Burmese dissident imprisoned, a Chinese blogger censored—such singular injustices are easier to grasp, and thus more likely to make us angry, and to spur us to act. The North Korean regime has been protected by the sheer enormity of its crimes, which discrete images cannot easily capture. Of course, picturing life and death in North Korea is also hard because the government isolated the country from the outside world, forbidding its people from leaving, or from speaking to the tiny handful of foreigners who were allowed in. But in recent years, life for North Koreans has gotten so miserable that many have risked torture and execution to escape the country. And they have brought their stories with them. So now we know that hundreds of thousands, if not millions, have perished there from preventable starvation. We know about the kwanliso camps for alleged enemies of the state, where an estimated 200,000 North Koreans continue to work and die in conditions of near starvation and brutal abuse. In this system, the sins of one person condemn his or her entire family to imprisonment; even children born inside such camps grow up to inherit their parents’ prisoner status. We know as well that millions of North Koreans have grown up and grown old with a government that seeks to control every aspect of their lives, demanding not just obedience in action but devotion in thought, denying them not just the right to demand an alternative way of life, but the ability even to imagine one. Past dictators have tried to do the same—Pol Pot in Cambodia, Stalin in the Soviet Union. But none sustained the experiment for 60 years, as the Kims have done in North Korea. Most North Koreans have no memory of living in a different kind of society. Theirs may be the most fully realized totalitarian state in human history. The magnitude of the suffering begs the question: What more should we have been doing all these years to help the North Korean people? It is my job at Human Rights Watch to try to answer this question with respect to many repressive countries around the world. I’ve always had a hard time coming up with a satisfactory answer for North Korea, which seems, at first glance, so utterly beyond any outsider’s capacity to influence. Some thought that economic failure and famine would force the regime’s collapse during the 1990s. This was wrong. If anything, hunger strengthens repressive states’ hold on their subjects. It saps people’s strength, forces them to focus on day to day survival, and makes them dependent upon their leaders, who control the distribution of food, and thus even more helpless before them. This is one reason, beyond the obvious humanitarian imperative, why withholding food aid from North Korea has always been unhelpful in improving respect for human rights (though we should obviously monitor how that aid is distributed). So contrary to my usual instinct in such cases, I’ve believed that the more the West engages the North Korean government the better. North Korea’s self-isolation has been a deliberate defense mechanism against a political awakening by its people. Anything that brings information to them—whether radio broadcasts from the outside, or getting diplomats, aid workers, and journalists inside—anything, in other words, that helps to bring North Korea out of solitary confinement, can only help. The international community could also have done more over the years to call out Kim Jong Il for his brutality. The conventional wisdom is that he would not have cared, that talking more in public about human rights, or pressing North Korean leaders directly on issues like labor camps, would have done nothing for the country’s people, while making diplomacy even more difficult. This sense of futility became another reason to push North Korea’s horrors from the forefront of our minds. Kim Jong Il became more often a subject of ridicule from the outside world, with his bouffant haircut, and retro-Soviet propaganda slogans, than of condemnation—his wackiness was a distraction and thus also a source of protection (see the last decade’s worth of The Onion’s headlines on North Korea: “Kim Jong Il ends Nuclear Program for Lead in Next Batman Movie!” and the latest, “Kim Jong Un Privately Expresses Doubt he’s Crazy Enough to Run North Korea”). And yet, if the North Korean regime truly is run by monsters or madmen who do not care what the world thinks, why does it deny the existence of its forced labor camps? Why does it project itself as a human rights paradise? It must understand, on some level, that evidence to the contrary is something to be ashamed of and therefore to be hidden. 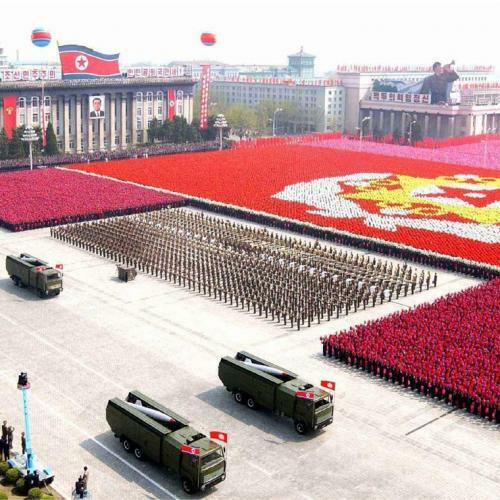 North Korea proves the point that all regimes, even the most nihilistic, crave legitimacy. That is the reason for its mass rallies, for its forced displays of loyalty, for the care with which it manages transitions from one leader to the next. These efforts broadcast its recognition that force and fear alone will not ensure its survival; that it must manufacture a form of popular consent, based on the belief, or delusion, that it has the right to govern. Such a regime is plainly vulnerable, maybe not right away but certainly over time, to any effort that makes it appear less legitimate to its people and the world. Many long serving dictators who once appeared utterly invulnerable have learned this the hard way in the last year, falling victim to forces that seemed to come suddenly from nowhere, but which were in fact building silently for years. Will Kim Jong Il’s death bring about such a moment of change in North Korea? It would be foolish to pretend we know. But it’s worth noting that the last time the North Korean government staged a dynastic transition, when Kim Jong Il replaced his father in 1994, North Koreans were far less aware of how anomalous their country was in the world. Today, thanks to movement across the border with China, more widespread ownership of radios that receive foreign broadcasts, and the spread of smuggled DVDs and flash drives, many more North Koreans are conscious that something different and better is possible. Will they accept as easily as before that a young man utterly unknown to them is entitled to perpetuate their suffering for another generation, simply by virtue of his family name? The legitimacy of this regime will only get harder to sustain if it continues in this form. We can pray that the power brokers who have accepted the 28-year-old Kim Jong Un as their new leader will recognize this, and allow a gradual opening of their country, with no sudden regime collapse, no violence, no mass exodus of refugees overwhelming neighboring countries. But will the North Korean people patiently go along with such a scenario, if their shackles are loosened? We have seen elsewhere (think of Libya) that the more people are forced to love a brutal leader, the more visceral their hatred when the fear which binds them to that leader lifts. We have seen how officials in such regimes tend either to run for the exits or to fight till the end when they sense that change may be coming, instead of adapting to that change. Do we really think that China will be able to manage such a situation, or South Korea, or the United States? I think it is safe to say that the time will come when leaders and diplomats lose control of events in North Korea, and when the desires and actions of its people—not as a shapeless mass, but as individuals—will come to matter decisively. The resolution of North Korea’s drama won’t then be determined by those six parties in a diplomatic conference room, to whom we have all been paying attention, but by the 24 million parties in North Korea whom we have mostly been ignoring. Ironically, it took the demise of one man, whose face we all recognize, to get us all thinking about the plight of North Koreans again, but it was the wrong man. In a more perfect moral universe, we would pay far less attention to the death of Kim Jong Il than to any of the deaths he caused. The sooner we adjust our focus, the better. Tom Malinowski is Washington Director of Human Rights Watch.